One my favorites pieces in Hamburger Bahnhof is The Right To Be Lazy by the Californian artist John Knight. I’ve written about it here and more recently here in my blog. To recapitulate shortly: It was installed in 2008 when the artist asked the gardener not to touch the grass in the rondel any longer. The patch of grass has thus been changing with the seasons. John Knight’s piece is inspired by Paul Lafargue’s 1883 manifesto The Right To Be Lazy. The French philosopher pleaded for the 3-hour working day and argued for the necessity of laziness and free time so ideas and culture can emerge. Now a friend sent me a critical review concerning The Right to Be Lazy. It was published online in Texte zur Kunst. * The critique was not directed towards the art piece itself but towards the director of the Nationalgalerie Udo Kittelman. A sculpture by Martin Honert, whose exhibition takes place in the Historical Hall of Hamburger Bahnhof, is placed in the rondel. That is, in the middle of John Knight’s The Right To Be Lazy. Honert’s sculpture is a tent - and the wilderness of The Right To Be Lazy apparently seemed to be a perfect match for the piece. The Right to Be Lazy was adjourned for the time being. John Knight only heard about it later on and was indulged about the decision. His letter to Udo Kittelman accompanies Helmut Daxler’s critical review of Kittelman’s museum policy. A year ago an article of mine about The Right To Be Lazy for a Belgian art magazine was rejected because my writing was too “timeless” and its subject had not enough “actuality”. Since then Cafe Zeitlos, just around the corner from where I live, has been spooking around in my head (so I'm posting the picture again :-)). Now The Right To Be Lazy is trending. Thanks to Texte zur Kunst! That Texte zur Kunst makes an attack about The Right to Be Lazy is ironic. I still remember with horror the twentieth anniversary celebration of Texte zur Kunst in HAU. The audience was stupefied when Isabelle Graw uttered her opinion that art critics, because they have so little money, are not corrupt: “Kritiker sind vielleicht noch am wenigsten kompromittiert, weil sie so wenig Geld verdienen können.“ * First of all, the basis of this thinking is, obviously, wrong: if you don’t earn enough money you will be more easily inclined to write whatever for whatever magazine. Secondly, such a thoroughly capitalist way of thinking - that money rules everything - is quite depressing to hear from the director of a magazine that promotes so-called socially inspired analysis. The fact that Texte zur Kunst makes a direct, personal attack is surprising. The magazine does not exactly have an image of being a controversial art magazine that provokes discussion. It is an open secret that nobody really reads Texte zur Kunst. Or one must be studying art history at university, still thinking that dry and long sentences make the content intellectual. Most articles in Texte zur Kunst are extremely boring. The eternally same crowd of people is writing reviews about artists who are on the list. Texte zur Kunst is not known as a place where art gets discovered. Lets take my personal case as an example. Valeska Gert’s oeuvre and career would be perfect material for a gender discussion, yet, curating the Valeska Gert exhibition together with Wolfgang Müller in Hamburger Bahnhof, it was obvious to us from the beginning that it would be ignored by Texte zur Kunst. The same counts for our exhibition “Gesture Sign Art. Deaf Culture / Hearing Culture” in Kunstraum Kreuzberg/Bethanien. 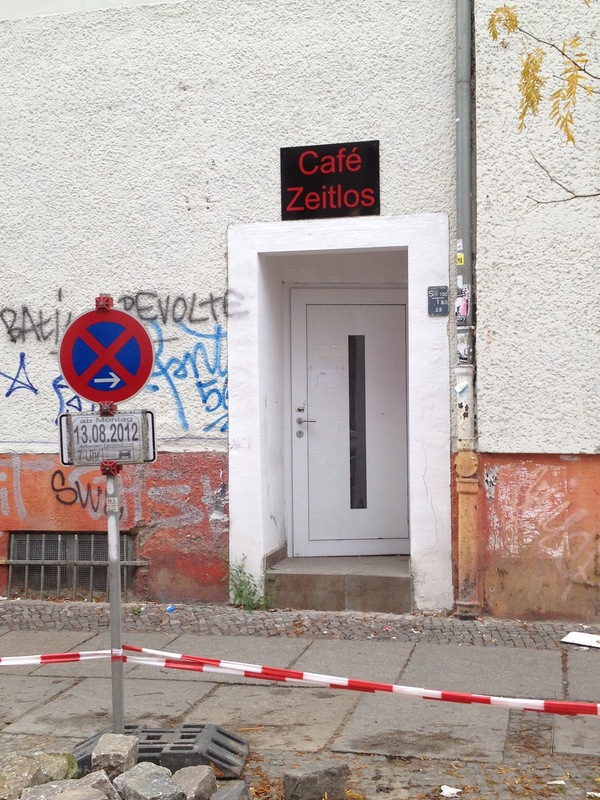 “We don’t belong to the club” is a familiar expression in the art scene when addressing the magazine Texte zur Kunst. This club is not particularly characterized by a special quality, but rather focuses on what is trending and already has been integrated by the art market. Blaming Udo Kittelman that he keeps all fronts in the art world satisfied and thus quiet, is interesting to hear from a self-indulging, self-referential art magazine like Texte zur Kunst. * Calvin Tomkins, Marcel Duchamp. The Afternoon Interviews, New York 2013.